Car accidents are an unfortunate fact of life. Many may be avoidable by practicing safe driving habits, but there is always a risk whenever you get behind the wheel. The National Highway Traffic Safety Administration reports that, in 2014, over ten million passenger vehicles were in police-reported accidents, and over two million individuals were injured as a result. That’s a lot of accidents, and a lot of injuries—do you know what to do if you’re ever involved in a crash? Take a deep breath to collect yourself, and then make sure that everyone is okay. Safety is your number one priority, and you need to keep your cool to make sure that you and others aren’t injured. If you or someone else does have an injury, call 9-1-1 right away, or ask somebody nearby to call if you don’t have a phone. Move your car out of traffic if the accident is minor and you can do so safely without causing further damage. 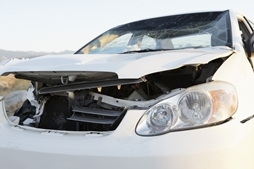 If there’s more than minor damage, you’ll want to contact the police and report the accident right away. Don’t admit to anything, even if you think the accident may be your fault. You might not be aware of all of the facts, and someone else could be partly responsible. And while it’s good to be polite to the other driver, keep talking with him or her to a minimum. Anything you say that could be construed as an admission of fault may damage your injury claim later. If you’ve already been injured in an accident, the best thing you can do is contact an attorney right away. It’s your right to seek compensation for your injuries, and an experienced attorney can help you decide if a legal claim would be worth your time to pursue. Steinberg Injury Lawyers has been handling accident and injury cases, and only accident and injury cases, since 1982. We have 34 years of experience helping our California clients seek the compensation that they need to pay their medical bills and any other expenses that arise after they’ve been hurt. We’re here when you need us, day or night, so call 800-989-6385 for a free case evaluation.